Shares in Black Rock Mining (ASX:BKT) have climbed on high-grade graphite drilling results – and confirmation it plans to have a JORC resource in the bag by the end of the year. The assay results mean 1000m of the strike drill tested so far is consistently grading at about 10% TGC. It could get even better for BKT, with assays from the remaining eight RC holes from the 17 hole program due back by the middle of this month. The results from the initial nine holes were enough for BKT to confirm that it would drill another 30 holes into the Ulanzi prospect by the end of the year, with drilling due to start late this month. 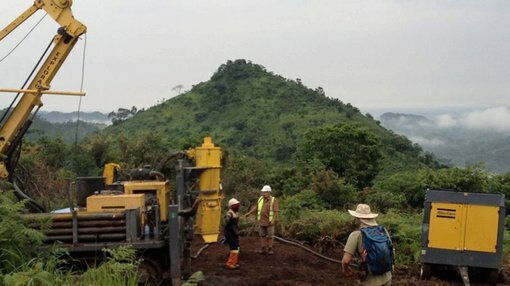 The holes will be drilled as infill holes to firm up the Ulanzi prospect to the north and south even further, but recent step-out trenching and pitting to the north and south has extended the strike length at Ulanzi by almost 50%. BKT told its investors that the program had extended the strike length out to 5.5km, from its previous length of 3km. It also said that the 30 hole program would have the effect of generating a resource by the end of the year. BKT shareholders voted with their buy orders today, with its price soaring up 7.4% nearing the end of trading to 8.7c on the back of the news. However, BKT shares did hit a high of 9.2 shares earlier in the day, with nearly 2 million shares changing hands today – well above its 30-day trading average of just under 480,000 shares. BKT managing director Steven Tambaris told shareholders that Ulanzi was proving to be a wonder deposit. “In a short but intensive three month period, Ulanzi has been transformed from a few lines of test samples into the drill-out of a [more than] 5km long graphite mineralised structure with significant resource potential,” he said. The Ulanzi prospect is part of the broader Mahenge tenure in Tanzania. BKT secured more than 1,500km2 of tenements earlier this year, quickly trenching and infill drilling to fast-track its commercial potential. Tanzania sits on top of the largest source of graphite mineralisation in the world, close to the famous Cabo Delgado region of Mozambique. There’s more graphite in this part of East Africa than the rest of the world combined. Graphite is becoming a hot commodity and could potentially become one of the world’s most ubiquitous minerals once new lithium-ion batteries start to become mass-produced products. Not too long ago BKT was trading under the name of Green Rock Energy, exploring geothermal energy resources in South Australia. Since March 2015 however, BKT has changed tact to pursue a much more commercially viable resource: Graphite.